shut down the money supply after a critical report from their own officials at Foreign Affairs. According to the report, the Netherlands has not always exercised sufficient supervision of aid projects in the opposition area in Syria. There is a danger that rescue workers and police officers paid by the Netherlands will have ties with terror organizations such as the Syrian Al Qaeda subsidiary Hayat Tahrir al Sham. The heaviest criticism is focused on the White Helmets, the internationally celebrated rescue workers who pluck after bombing and shelling in the rebel area. According to their own task, more than 250 emergency workers have since been killed in this work. The Witte Helmen were nominated for the Nobel Peace Prize in 2016. Previously they gained world fame after a Netflix documentary. The then minister Bert Koenders praised the rescue workers as ‘incredibly courageous people’. In recent days, the White Helmets were, according to their Twitter account, at risk for their own lives, storing civilian victims in the rubble of Idlib. But according to the report of Foreign Affairs, which was sent to the Lower House on Friday, the supervision of the work of the White Helmets is ‘below level’. There is a danger that Dutch money intended for the rescue workers may fall into the hands of extremist groups or be used for illegal trade. It is the first time that a Western government states that there are problems with the project. The Syrian regime and Russia have accused the rescue workers for years of cooperation with terrorists and the staging of attacks with chemical weapons, but this is seen by western governments and independent investigators as a disinformation campaign by Syrian President Bashar al-Assad and his Russian ally Putin. Now that the political opposition in Syria with the approaching Idlib offensive is in danger of being wiped off the map, according to Minister Blok there is no choice but to stop the aid to the White Helmets as quickly as possible. The rescue workers are still eligible for about 188 thousand euros in already committed subsidy. Support for another Dutch showpiece, the Free Syrian Police, has also been discontinued. These are unarmed community police officers who supervise opposition areas of Syria. According to the Foreign Affairs report, it is ‘very likely’ that these agents consult with terrorist organizations. In addition, there is a risk that they maintain further links with this. Adam Smith International, the British organization that supports the Free Syrian Police and has received more than 14 million from the Dutch government in recent years, says Tuesday that it does not recognize itself in the criticism from the Dutch Ministry of Foreign Affairs. The organization denies that the Free Syrian Police tells donors a ‘polished story’ at the expense of transparency. “We deny this claim. Ajacs (the umbrella program of the Free Syrian Police) maintains strict supervision with built-in checks and balances and (…) an objective external supervisor. The six governments that subsidize us also maintain strict supervision of all parts of our program and implementation through frequent meetings and detailed reports. (…) Our monitoring and management process guarantees complete, unfiltered transparency and is therefore praised by the British Ministry of Foreign Affairs." Adam Smith International does acknowledge that police officers continued to collect salary via two ‘ghost agencies’ that were actually abandoned. In addition, it happened that officers had to flee their post because of the war, while they were paid their salaries from the Netherlands. “During bombing and conquests by Assad regime troops, the entire population and also the Free Syrian Police are fleeing, leaving the police stations.” Possible infiltration of terrorist movements among the agents sees Adam Smith International – just like Foreign Affairs – as a ” key risk ‘. 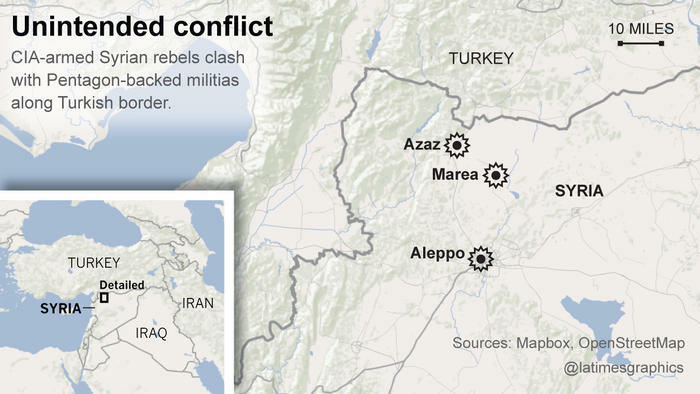 What: about four thousand unarmed community police officers in opposition areas in Syria. Investigate minor offenses, keep traffic controls. Must prevent extremist groups from attracting all power. Dutch support: 14.8 million euros between 2015-2018. – Most agents have never had a background check. Some may be under the influence of terrorist organizations such as Hayat Tahrir al Sham (Al Qaeda in Syria) or IS. – Fraud is not always reported on time. Via ‘haunted offices’ where the Free Syrian Police were officially no longer active, agents continued to receive their wages from the Netherlands. – The British project that includes the Free Syrian Police, Ajacs, spends a lot of time on ‘donor management’, where it is especially important to tell a ‘polished story’. This is at the expense of transparency to donors. – Ajacs places an unreasonable confidence in the opinion of local inspectors, while they themselves have an interest in concealing sensitive information. – The money for the Free Syrian Police is brought to Syria via the hawala system, a system for informal banking. This entails risks: there are no statements and no check as to whether the money ends up with the right people. 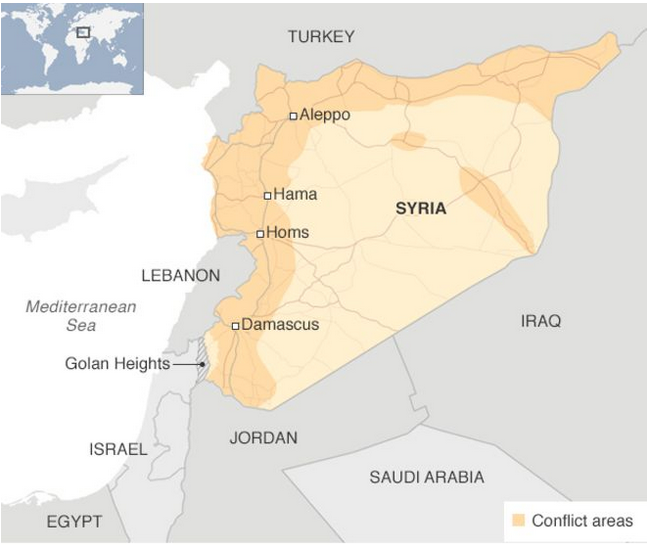 What: Nearly four thousand rescue workers in rebel territory in Syria, providing first aid after bombing. Wear cameras on their helmets and provide proof of possible war crimes by Syrian government forces. Dutch support: 12.5 million euros. – According to the Ministry of Foreign Affairs, the supervision of the behavior of the rescue workers is ‘inadequate’. The organization that supervises, Mayday, based in the Netherlands, is closely intertwined with the Witte Helmen itself. In practice, donors do not understand the difference between the two organizations. – The money for the White Helmets is transferred to the Syrian border in cash or enters the country via the hawala system. It is ‘problematic’ that Mayday does not know how much money is paid via which route. That is why there is a danger that money has fallen into the hands of armed groups. The cash flow can also indirectly be used for illegal trade. Systematic control of the money flow is missing. – The White Helmets are active in areas where armed groups are in power that are considered ‘unacceptable’ for the Netherlands. Contact between the White Helmets and local administrators who work together with extremist organizations is inevitable. “The seemingly intentional lack of transparency practically guarantees that much of the more than $150 million the White Helmets received from various governments will have flown into the private pockets of the people who organize the scam. For background information on the White Helmets the earlier pieces by Vanessa Beeley’s at 21stCenturyWire´are still the best: Syria’s White Helmets: War by Way of Deception – Part I and Part II – Syria’s White Helmets: ‘Moderate Executioners’. Vanessa Beeley, Eva Barlett (vid) and others have tried for years to point out the nefarious scheme behind the propaganda scam “White Helmets”. Roger Waters rightly calls them (vid) a “fake propaganda construct for terrorists”. But ‘western’ media loved the dramatic fake photos and videos the White Helmets produced, partly because they could put them into print and on screen free of any charge. Whoever criticized them and questioned their narratives was publicly smeared and derided. Just a month ago Germany’s Foreign Minister Maas, also known as a “well styled NATO call boy”, met the White Helmets front man Raed al-Saleh, who was denied entry into the U.S., and promised him more money. Maas also lauded the recent ‘evacuation of White Helmets’ from the Quneitra and Daraa area to Israel which was just another scam. Israel used the White Helmet cover to evacuated a number of terrorists commanders it had paid and equipped for years in its war on Syria. Maas and his NATO colleagues in other countries will soon be asked about the Dutch example. Can they refute the analysis the Foreign Ministry of their NATO ally Netherland made? Can Maas explain what happened with the €17 million Germany gave to them? In who’s pocket did they end up? “Royal Netherlands Air Force F-16 fighter jets will be pulled out of the mission against Islamic State in Iraq and Syria at the end of the year, the Dutch government said Friday, September 14. “Then, let us consider who holds the purse strings of the majority of the primary propaganda rings and regime change facilitating NGO elements in Syria. 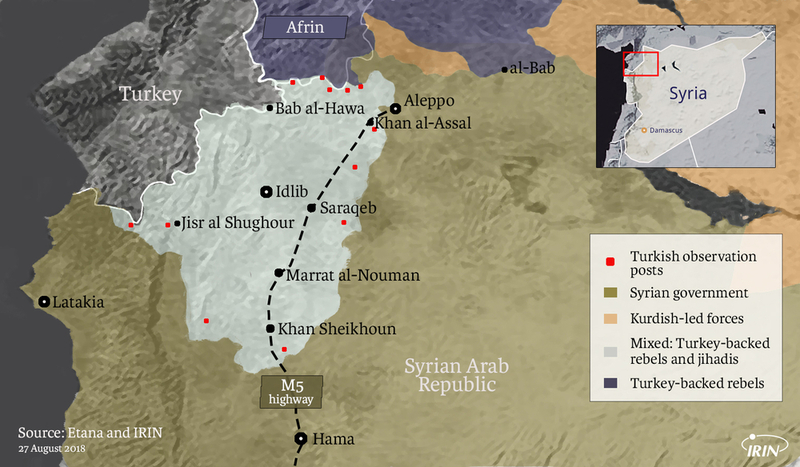 The yellow brick road of Neocon ambitions and imperialist missions– impossible in Syria leads unerringly to the global chaos strategist, George Soros, pedalling furiously behind his NGO Humanitarian shield. ““It should not be considered a coincidence that at the same time, a polished, sophisticated and highly financed “Save Syria” campaign is being created in the board rooms of the Empire’s favourite Harvard boys. “In particular, [US taxpayer funded] NED and USAID provided money, equipment and training for anti-government operatives challenging regimes in U.S. disfavor. Since the [Islamist] rebels’ goal of overthrowing President Bashar al-Assad meshed with the objectives of the U.S. government and its allies in Israel, Turkey, Saudi Arabia and the Gulf states, Western journalists uncritically accepted the words and images provided by Al Qaeda’s collaborators. The success of this propaganda was so extraordinary that the White Helmets, a “civil defense” group that worked in Al Qaeda territory, became the go-to source for dramatic video and even was awarded the short-documentary Oscar for an info-mercial produced for Netflix – despite evidence that the White Helmets were staging some of the scenes for propaganda purposes…. Russia-gate investigations have always sought to exaggerate the impact of that alleged “meddling” and molded the narrative to whatever weak evidence was available. Further, the emails were not “disinformation”; they were both real and, in many cases, newsworthy. The DNC emails provided evidence that the DNC unethically tilted the playing field in favor of Clinton and against Sen. Bernie Sanders, a point that Brazile also discovered in reviewing staffing and financing relationships that Clinton had with the DNC under the prior chairwoman, Debbie Wasserman Schultz…. 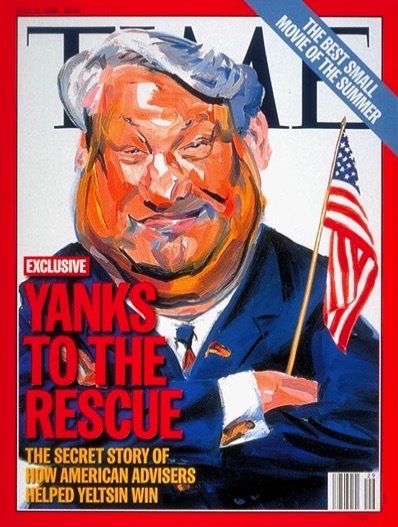 After all, the United States intervened in the 1996 Russian election to ensure the continued rule of the corrupt and pliable Boris Yeltsin. And there were the U.S.-backed street protests in Moscow against the 2011 and 2012 elections in which Putin strengthened his political mandate.